DECEMBER 4--Meet Michael Campbell, before and after. 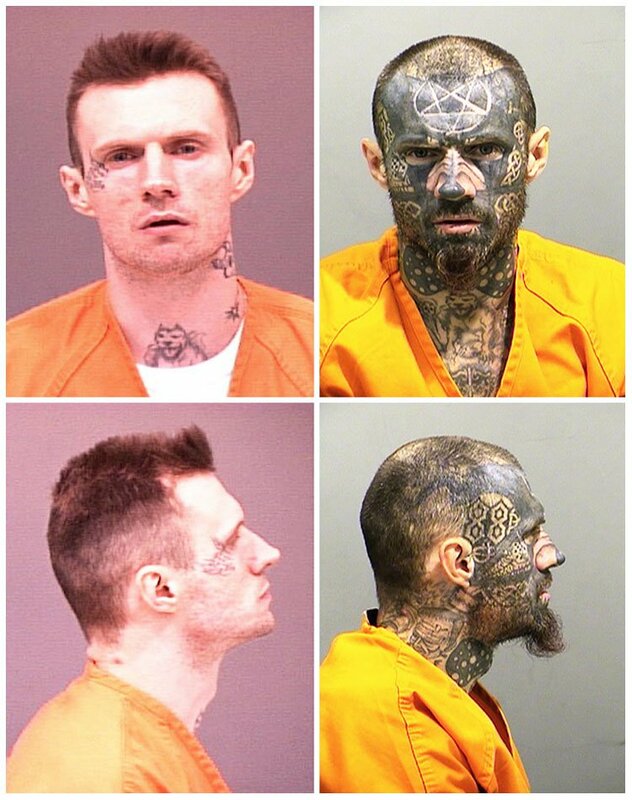 The Colorado man has a long rap sheet and prison history, though you probably could have guessed that based on the below mug shots. In the "before" photos, Campbell is seen following a 2003 theft arrest in Jefferson County, Colorado. The "after" photos were snapped about six weeks ago, when Campbell was again popped and jailed at the Jefferson County lockup. 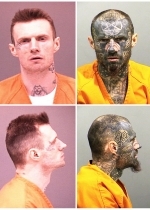 Though he has been in and out of custody between 2003 and 2008, Campbell, 33, apparently used his infrequent time on the street to aggressively supplement his facial and neck art. It is unclear, however, why his ears, to date, have been left untouched. Submitted by Andy Galaxy on Wed, 2010-10-27 16:21.